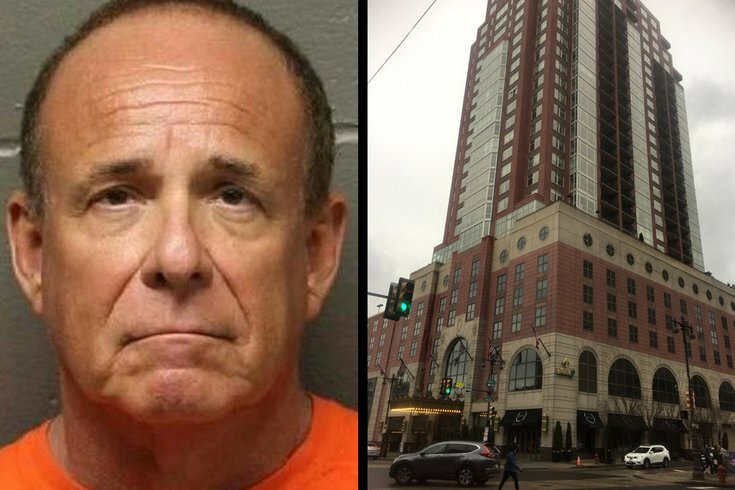 A luxury Center City condo co-owned by Dr. James Kauffman and valued at about $1 million is on the forfeiture list as part of the indictment against the disgraced Atlantic County endocrinologist who was charged with hiring a hitman to kill his wife. Kauffman apparently killed himself on January 26 while in jail awaiting a trial on murder charges. Prosecutors have moved to take possession of a nearly $1 million Philadelphia condo owned by the late Dr. James Kauffman following indictments last week in the 2011 murder of his wife, April Kauffman. Also on their forfeiture list is the 7,000-square-foot Linwood, Atlantic County home where Kauffman and his alleged confederate, Ferdinand "Freddy" Augello, are accused of having Kauffman's wife murdered by a hired shooter. The indictment of Augello, a member of the Pagans Motorcycle Club and former president of the Cape May chapter, and six others was for racketeering and distribution of the drug OxyContin from Kauffman's medical practice. The Linwood home was listed for sale a year after the murder for more than $900,000. After languishing on the market for five years, the price had dropped to $299,000 earlier this year. It has since been taken off the market; an employee for the last listing agency said ownership is being hashed out by lawyers. 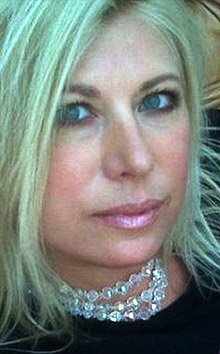 April Kauffman was listed as a co-owner of the 2 Woodstock Drive property, though her name was removed after her May 2012 murder, and James Kauffman is listed as the sole owner. Kauffman’s last wife, Carole L. Weintraub, whom he married a year after April Kauffman's murder, appears to never have been added to the Linwood deed. But Weintraub and Kauffman co-owned a luxury condo in the Symphony House at 440 S. Broad St. They paid $982,000 for the unit, according to tax records. While his assets are listed for seizure, Kauffman’s name is missing from the indictment’s defendant list. That’s because the man who would have been listed as Defendant No. 1 apparently killed himself in the northern New Jersey jail where he was moved, ostensibly to better assure his safety. According to authorities, the disgraced endocrinologist strangled himself with a bedsheet on Jan. 26 while alone in his jail cell. Hudson County officials have declined to provide documentation of the means of Kauffman’s death, however, and other than acknowledging the death, the Atlantic County Prosecutor’s Office has had nothing definitive to say. The lack of detail has stirred speculation, which authorities in Hudson and Atlantic counties have declined to address. Kauffman had been in custody at the Atlantic County Jail since June 13, 2017. That’s the day he pulled a 9mm Ruger handgun on himself when law enforcement arrived at his medical practice in Egg Harbor Township to seize records. He surrendered about 30 minutes later, after shouting “I’m not going to jail for this.” The entire confrontation was captured by a Linwood police officer's body cam and is available here. Arrest warrants for Kauffman and his alleged confederates were executed this year on Jan. 9 on charges of drug distribution racketeering, and murder or attempted murder. Meanwhile, the indictment, approved by a grand jury on April 3, included a long list of financial and property seizures, mostly financial for Kauffman, and all music-related for Augello. The indictment authorized the confiscation of more than 40 items from Augello, a resident of the Petersburg section of Upper Township in Cape May County who was a sign painter and guitarist in two South Jersey rock groups. As a retired member of the Pagans, Augello no longer pays dues and was no longer required to participate in routine organized bike runs, but he remained a member of the club. Seized from Augello were about a dozen guitars, many speakers, mixers and a keyboard. In addition, a boat, a van and a Harley-Davidson motorcycle were confiscated. 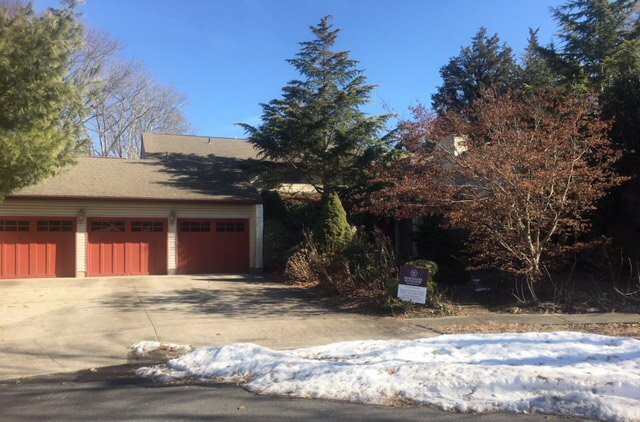 This home at 2 Woodstock Drive in Linwood home was listed for sale a year after the April Kauffman murder for more than $900,000. After not selling for five years, the price was dropped to $299,000 earlier this year. it is now off the market, reportedly until ownership is determined by lawyers. Cash was seized from several Kauffman addresses: $68,407 from the Center City condo; $29,390 from the Woodstock Drive home; $10,000 from his medical office in Egg Harbor Township; and $687 from his SUV. Also confiscated was a profit-sharing plan valued at $128,901 and an IRA valued in December at about $40,000, plus a vehicle and Harley-Davidson motorcycle. Not on the seizure list for Kauffman, though, was an Arizona property he owns. The property was mentioned in the initial news release following Kauffman's arrest in connection with his wife's murder. Defendant Glenn Seeler is listed as having a Mustang automobile and a motorcycle confiscated. Seeler, Fred Augello, Tabitha Chapman, Paul Pagano, Cheryl Pizza, Joseph "Irish Joe" Mulholland and Augello’s second wife, Beverly Augello, are all indicted on drug charges related to an OxyContin distribution scheme allegedly orchestrated by Fred Augello and James Kauffman. Only Fred Augello was indicted on murder charges. He is accused of conspiring with James Kauffman to have April Kauffman killed. Prosecutors allege April Kauffman was shot and killed by Francis “Franny” Mulholland, who died of a heroin overdose in his home in the Villas section of Lower Township about a year-and-a-half after the killing. According to a call-for-service report, Mulholland was pronounced dead at the scene by nurse practitioner Barbara Greenling. She worked for Kauffman's practice in Egg Harbor Township, about 35 miles from the Villas. Greenling has declined comment, but she had warned law enforcement investigators in the murder case as early as August 5, 2012 that Kauffman was seeing an increasing number of “biker types” after regular office hours and without the maintenance of routine medical records. “Don’t get us into trouble,” she recalled telling Kauffman at the time she first noticed the influx of new patients, during spring 2012. “He shrugged it off,” Greenling had told murder investigators that year. It’s unclear why it took six years for the Atlantic County Prosecutors Office to connect the dots in the Kauffman murder and drug cases after getting that information. Joseph Mulholland, who also lived in the Villas, was at Franny Mulholland’s home when the 9-1-1 call was made, a police report shows. Three residents of the Villas have identified Joseph Mulholland as Franny Mulholland’s cousin, despite a news release from the Atlantic County Prosecutor’s Office saying they are unrelated. Strangely, the prosecutor’s news release originally announcing the arrests also alleged Joseph Mulholland got money as part of the scheme to kill April Kauffman. But he faces no charges in support of that characterization. Similarly, Beverly Augello was identified in the same prosecutor’s news release as a go-between for the cash James Kauffman paid – about $20,000 – to have his wife killed. She doesn't face charges in the murder scheme, either. The prosecutor’s office has declined comment on the discrepancies.